“KAISSA”, the manufacturer of sunflower oil, offers services for selling sunflower husk for the agricultural industry as for its use, as biofuels. During the manufacture of sunflower oil, formed the waste in the form of husks of sunflower seeds, total mass is about 10-15%. Due to the large volumes of non-recycled husks, we have an opportunity for a wide sale of second-rate product. Therefore, buy sunflower husk in Ukraine without any problems. The increased demand for such seemingly useless material, characterized by the fact that it is widely applied in agricultural activities, serves as a biological fertilizer for the ground. Thus, plants grown in such an environment, more resistant to weather changes and pests. Nowadays the husk is quite competitive with common fuels used for heating. Its thermal conductivity is much superior in comparison with some varieties of coal. 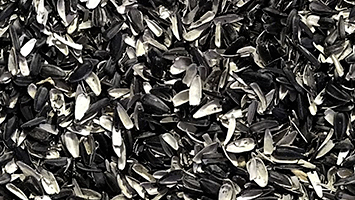 Use the husks of sunflower seeds, for heating houses with boilers, cheaper than using natural gas. Contact our managers to buy wholesale or retail the sunflower husks, from the manufacturer “KAISSA”.